The emotional trauma caused by the death of our loved ones can make us grieve in bizarre and tragic ways. It seems that this German woman took her love towards her mother too far. 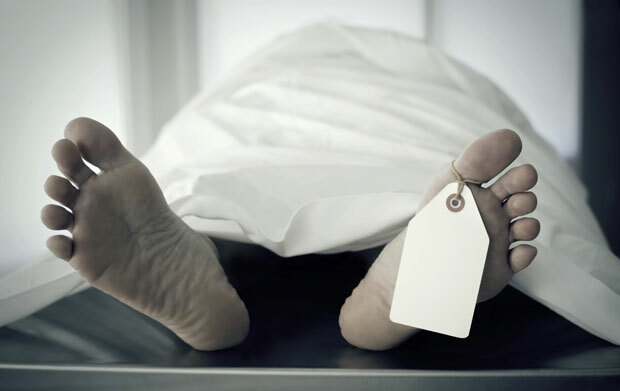 According to the police report in Munich’s Blumenau district, a local woman spent 5 whole years sleeping in the bed next to her mom’s corpse, who died 5 years ago, in 2009, at the age of 83. A social worker became suspicious when neighbors informed the building manager that they hadn’t seen the old woman for a long time. After trying many times to make an appointment by phone with the woman and getting excuses by the daughter, the social worker went to the apartment. When the daughter refused to open the door, he called the police. When they opened the door, they found the body of the woman inside a double bed which the daughter was sharing with the corpse. Confronted by the police, she admitted that her mother had died back in 2009 and that she had been sleeping next to the body for the past 5 years. The autopsy revealed that the old woman had died from natural causes. The daughter was sent to a psychiatric institution.